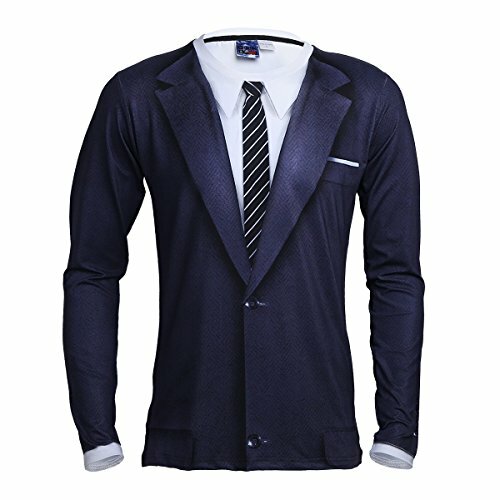 Men's clubwear slim fit tie tuxedo T-shirt. Crew neck and long sleeves, 3D digital printing. Front with lapel and tie pattern, pull on closure. Good stretchy and smooth, soft and comfortable to wear. Perfect for a bachelor party, birthdays, valentine's day, anniversaries or daily wear.